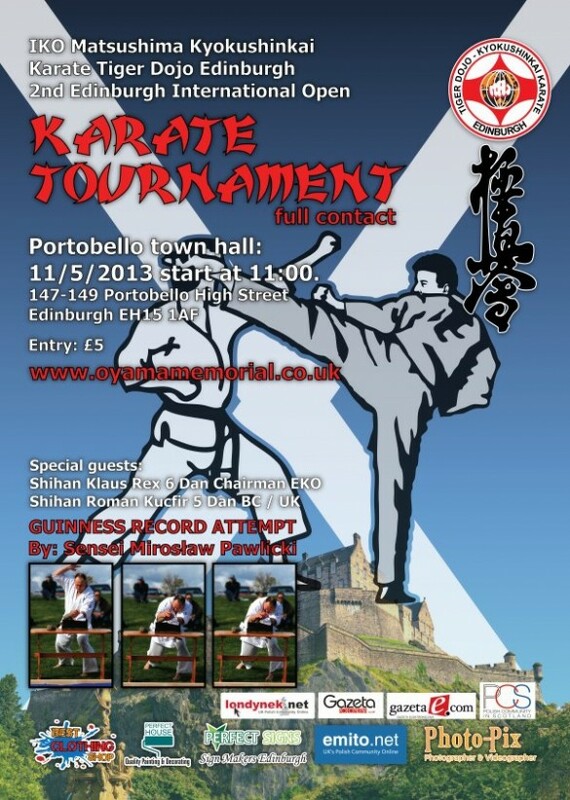 [IKO　MATSUSHIMA]　INTERNATIONAL KARATE ORGANIZATION KYOKUSHINKAIKAN » Blog Archive » IKO Matsushima Scotland will hold their 2nd Open Tournament on the May 11th at the Portobello Town Hall, Edinburgh. The doors open at 10am. Tournament starts 11am.